Please follow our Facebook page for updates! The individual who works along side the big puffing and pounding machine in foundation work for new high-rise buildings is the pile driver. 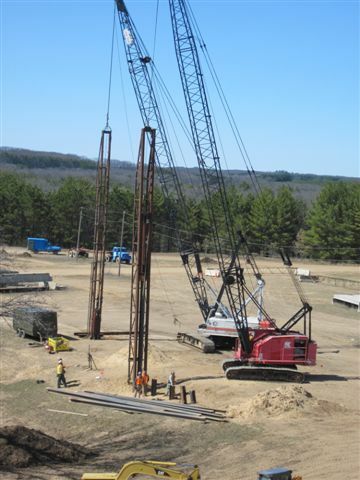 Pile drivers sometimes work almost entirely alone, once the piles (long shafts of wood, steel or concrete used to support great weights) are placed in position for driving into the ground. Sheet steel pilings are utilized to hold back dirt in excavations, while other types of piling hold up docks, wharves and bridges. The work is outdoors and requires steady concentration. 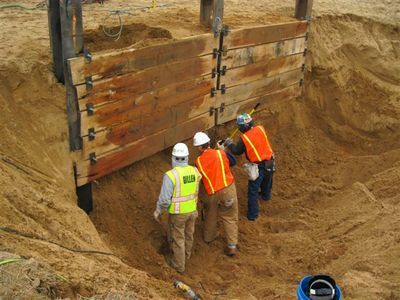 Pile drivers are also involved in underwater construction and require welding skills for certification. 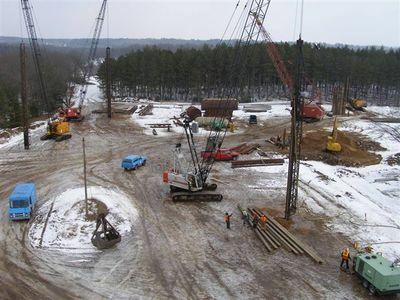 The pile driver must necessarily work closely with surveyors and engineers, driving their piles to particular elevations. At times, rock formations and substrata complications test their specialized knowledge and skill. Pile drivers must learn by experience and training the stress and tolerance of the materials with which they work.